As a blogger or business owner, we wear a lot of hats. You are the writer, marketer, promoter and admin department for your business. You are also often the graphic designer and for lots of us, this isn’t our main thing. Therefore finding the right tools to help with these jobs is very important and that’s why I learned how to use Canva. I still don’t class myself as a designer, but I can make good images for my blog and Pinterest and also learn from some real designers with templates! If you haven’t met Canva, let’s make a quick introduction. 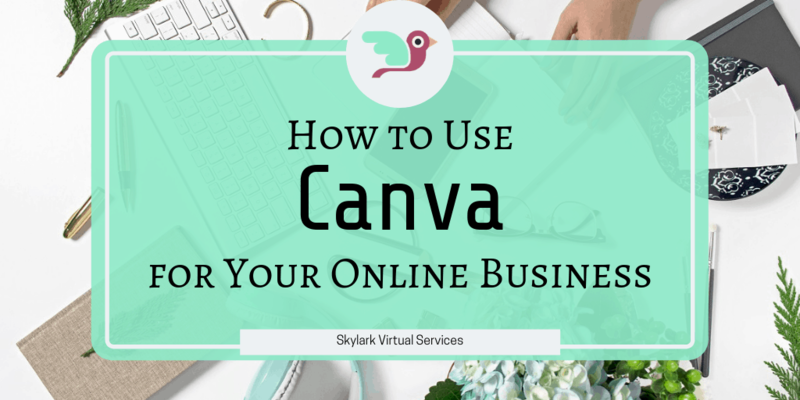 Canva is an online design tool that lets you easily create a whole range of business and personal graphics. You don’t need to download it and it runs online so there’s no massive demand on your system (something that is a thing with Photoshop). Canva makes it easy to create graphics because it offers two things I love – one is a whole range of pre-set sizes such as an Instagram Post, a Facebook cover and a Pinterest image. The other is a range of templates that you can use. Or more importantly, you can adjust, amend and use as inspiration. There are two versions of Canva – free and Canva For Work, a paid subscription. The paid product costs $12.95 a month, there’s a 30-day free trial and you can cancel at any time. There are a few points that make the paid version worth considering in my opinion. Top of the list is the ability to save your brand colours and fonts – in fact, you can save a number of colour palettes which for people with more than one blog like me, that’s very useful. You can also import fonts to use on your designs. Another benefit from the paid version is what they call Magic Resize. 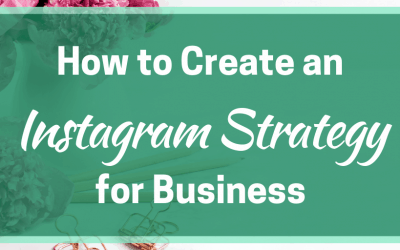 Say you make a Pinterest pin and want to use the basic image to have an Instagram post. You can use magic resize to change the size and it will adjust most of the graphic elements too. There might be a little adjusting and rearranging but it saves a lot of time. Finally, you can organise your images and designs by folders. This is a very useful benefit when you have more than one blog as I do. 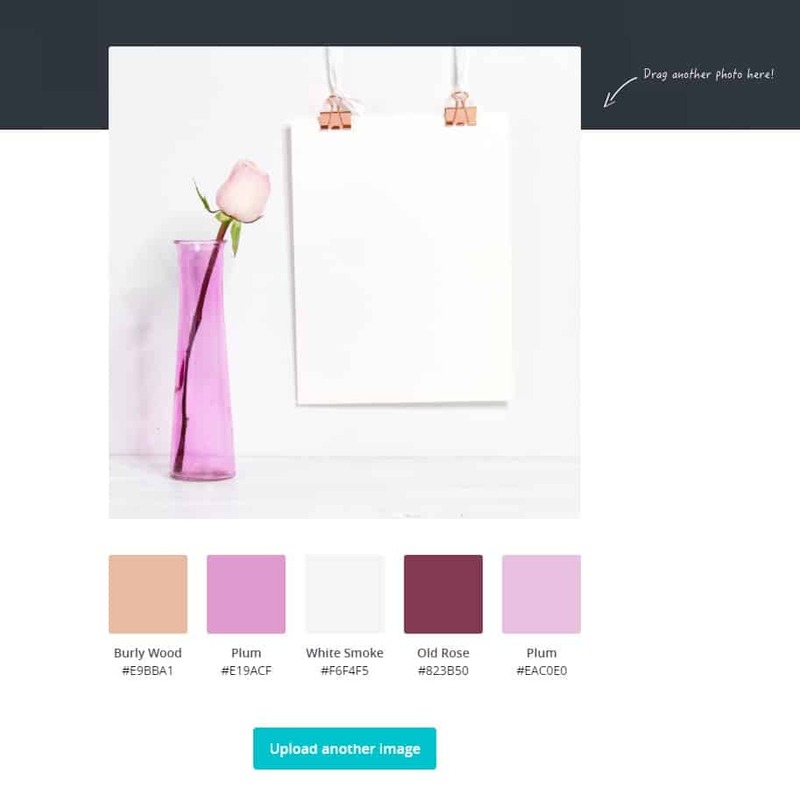 But even so, you can organise all of your Pinterest images, another for Instagram and so on meaning it is quick and easy to find the right template and adapt it. 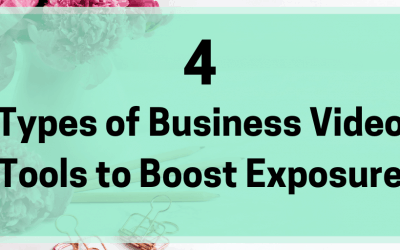 When you first look at how to use Canva, there are a few things to get the hang of us but have also tried to learn Photoshop from scratch, it is definitely quicker to pick up. The first thing you want to know is what size image you want – you can choose from a pre-set size or use custom dimensions if you want something specific. Then do you want to use a template or just start putting stuff together? Templates can easily be amended, bits deleted and added. Or you can start to select from the menu along the left side which includes the elements, text, background as well as uploads and folders. It also groups elements into themes such as vintage, food, business and seasonal to help you get inspiration if you are not quite sure what you want. 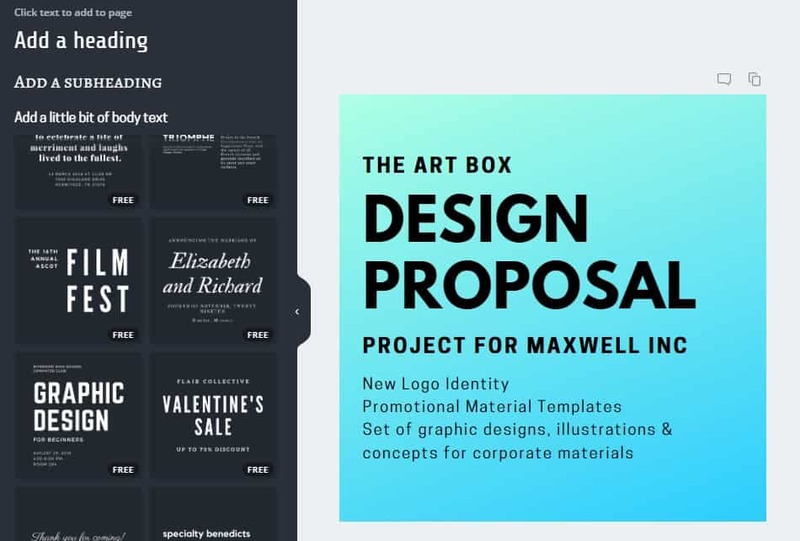 There are Canva free elements and also paid ones which have a difference licensing depending on what you want to use them for – personal or commercial. As well as access to plenty of free elements, images and resources, you can also import your own. So if you have stock images, photos or other elements you want to use on your hard drive, you can import them to Canva and make use of them in your designs. There are also loads of different fonts to use with more being added all the time. I love fonts and have to resist the urge to go a little mad with them but there are also lots of good solid fonts there to choose from that will work great on things like Pinterest designs. You can add text boxes and if you have the paid version, these will default to the fonts and sizes you have set in your brand kit. There are also font combinations that you can adapt and change to suit your needs. 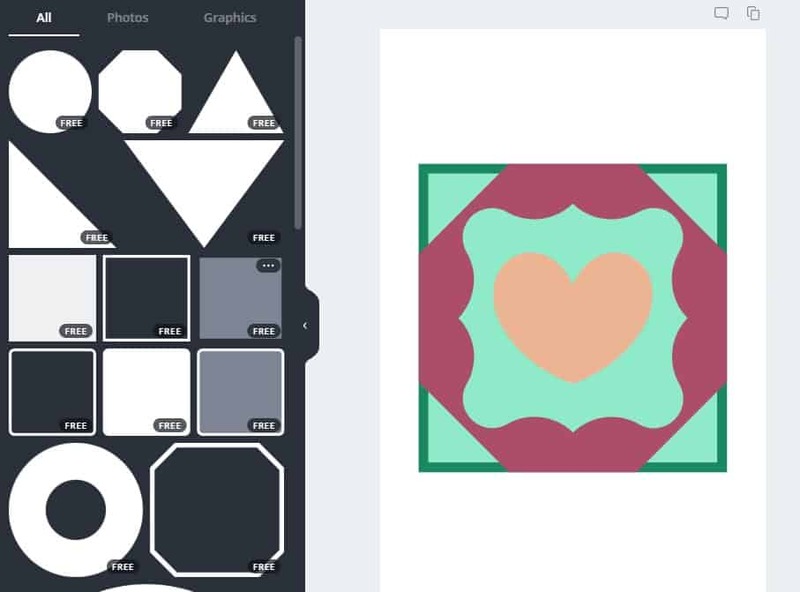 If you know the Hex code of an image, you can use it in Canva. So if you want your text to be a specific shade of green that you have the code for, you can hit the rainbow button, paste the Hex code into the box and Canva will apply this to whatever you have selected – text, shape, lines etc. It then saves that code in the image palette so you can apply it to other elements of the design as you go. You can also edit the image and add filters to the image. This is a great way to make stock images a little different but also to brand your images with a certain filter. When in an image, there are four options on the top menu bar – filter, adjust, crop and flip. You can use a filter to add those filters, adjust to amend the image, crop to cut it and flip to, well, flip it. Once you have completed your design and are happy with it, you can download it to use as you want. There are a few options under the right top corner menu with download being one. You can also look at animating the image depending on what it is – this is a fairly basic feature but a handy one with a few ways to turn a basic quote or word graphic into something a little more interesting. 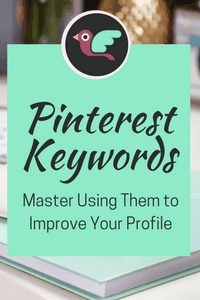 When it comes to using Canva for Pinterest, the process is very simple. The basic template is one of the Pinterest sizes, 735 x 1105 so you don’t need to worry about getting the right graphic size for Pinterest. They have a load of templates to use to create a Pin although I would definitely recommend doing some amendments. Otherwise, you can quickly notice other pins out there made from the same template! So if you want to use one, use it as a base and make your own changes, use your own fonts and colours. You can also buy loads of brilliant templates for Pinterest to use in Canva. The designer supplies these, you make a copy then you are free to use them as you want. I tend to make a copy then make another copy so I have the original and can start amending them to my own branding from there. When it comes to Instagram, there are two main pre-set templates to use – one for a post and one for an IG story. The post template is a standard 1:1 ratio, in this case, 1080 x 1080 pixels. This makes it an easy size to use on Instagram and also ideal if you want to cross post to Pinterest. The Story template is the same width, 1080 pixels but is taller at 1920 pixels. Of course, you don’t just have to use these for the purposes labelled. If you want to create an image to go in a post that is also about the size of a Facebook post, you can use the pre-set size for this. 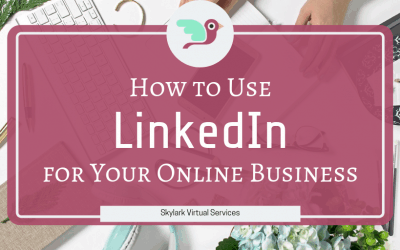 Social media isn’t all you can make with Canva and there are templates for every category. One of the ones I really like is their infographics section. I’ve tried to make infographics before and being a non-designer, it was just overwhelming. But with the templates from Canva, it is easy to find a design that has the basics you want then adapt it to be what you need. The documents section include a basic A4 document, presentation slides, letters and letterheads, resumes, reports and memo templates. You can even create a stylish invoice that can be downloaded and printed. And with all of these, once you have made your template, you can adjust the details and use it repeatedly, saving a load of time. 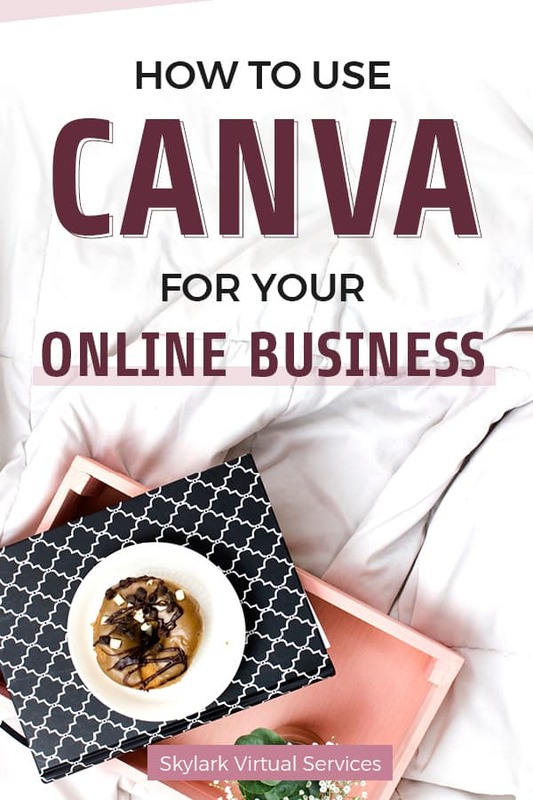 Lots of us will definitely use Canva for business but there are also plenty of templates and settings for personal use too. 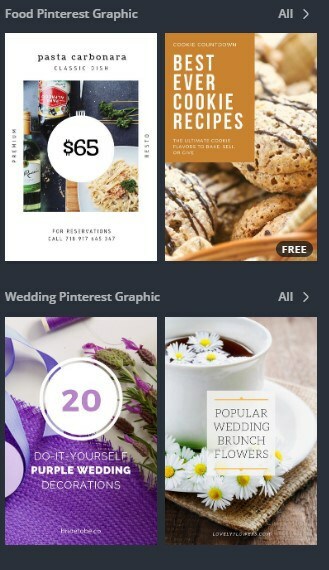 For example, you can make birthday or wedding invitations, announcements or event programs in the Events section. If you home-school, plan lessons for classes or activities or even want to make your own worksheets, there are templates for these. One idea I really like is the range of planners available – again, you can adapt and change to suit your needs so there’s no reason why you can’t have the perfect planner if you don’t find one in the shops. And you can start creating printables in Canva for opt-in freebies too. You can even make a calendar, photo book or scrapbook from the settings. Learning how to create graphics with Canva is definitely the main thing you will do when you start to use the tool, but they also offer help with this. Canva has its own Design Studio which you can access from within the app which contains a host of different lessons. They teach you how to use Canva, how to make the most of the features, practice your design skills and even build confidence as a designer. These are included in the subscription, are short and easy to follow, mostly with video. Canva’s Colour Palette Generator is a separate tool I have taken to recently. You can upload a photo and it will produce a palette of five shades from it to help make designing easy. So if you have an image and want to create a graphic based on it, this is the tool to ensure you get just the right shades in it. Finally, Canva also has its own blog which contains tips and inspiration for designers of all levels. It is ideal for Canva for beginners users right through to professional designers and is worth checking out. I know that people who use Photoshop say there are lots of features that Canva doesn’t have that the Adobe product does. But for many of us who don’t have the time or inclination to learn Photoshop, that’s okay. You can make great quality graphics for your blog or business with Canva, solve problems around the house with the personal features and start to learn the basics of graphic design. That works for me! I love Canva – it helps make such professional looking Pin covers.